The Mill in 1979 as Janet Malloch would have seen it. She started working there in 1977. Willamette Falls has been used for industry since 1829, when John McLoughlin, founder of Oregon City, built a sawmill at the site. Paper mills came in the 1860s, using the hydro-power from the falls to run the machinery. The mills stayed on site until the Blue Heron mill closed in 2011. Janet Malloch, the first woman technician and shift supervisor, worked at Blue Heron Paper Company from 1977 until its closing in 2011. Throughout those 36 years, she paved the way for women to work in mills, moving up the ranks from technician to process chemist to shift supervisor—and finally—to board member. Janet went to college for a degree in general science and was actively looking for a non-traditional job where she could make a difference politically. Knowing that paper mills were the big industry in the northwest, she quickly honed in on working in one. Janet went on several local public tours, and by the third had decided: this is where she wanted to have a career. 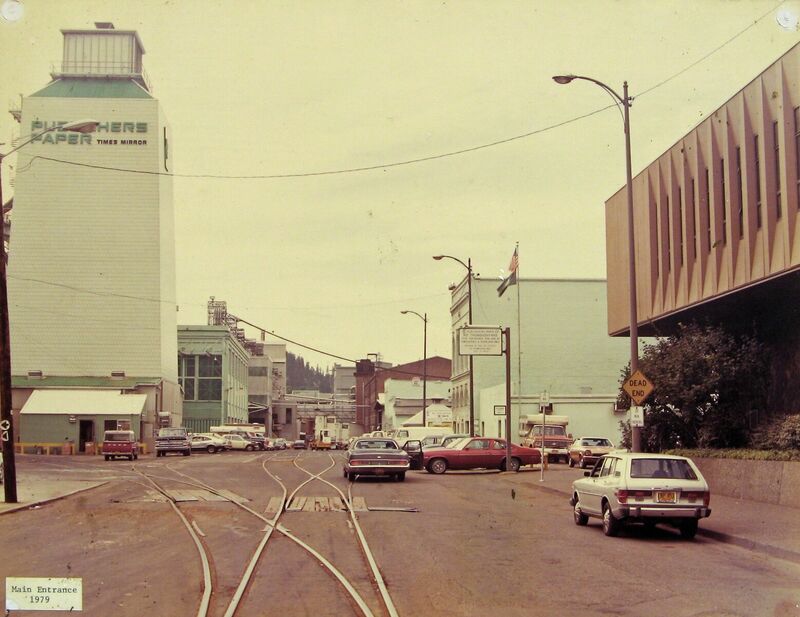 The main entrance to the mill in 1979. Janet would have seen something very similar when she arrived for her tour of the facility in 1977. After two years of working at the mill, Janet realized that her college background in science, in combination with on-the-job experience, gave her a good start in her career. But to go further, she needed to increase her chemistry knowledge. 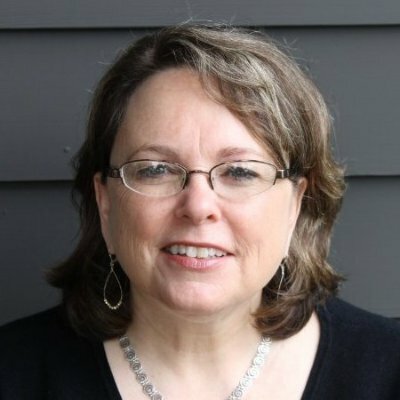 She went back to school and after getting her chemistry degree in 1980, she came back to the mill with a new career path as a process chemist. 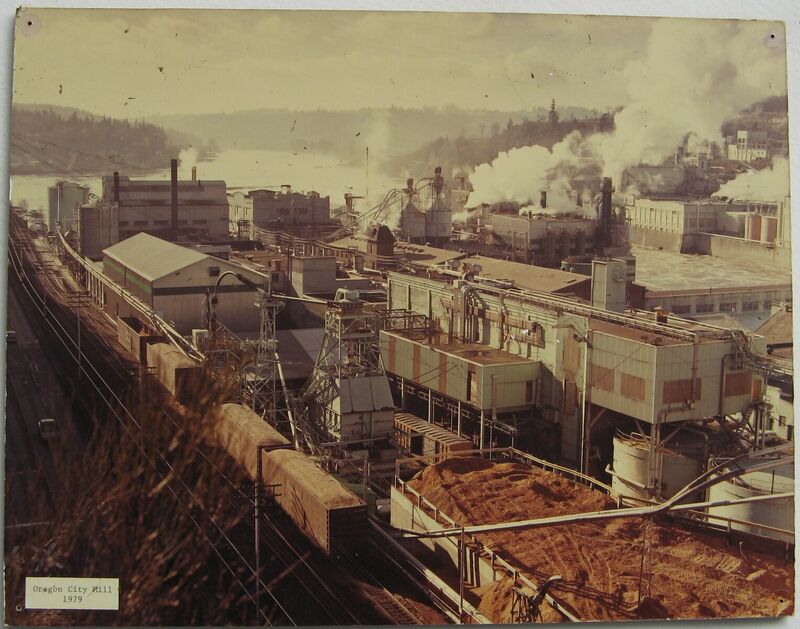 Janet recognized that in many ways, the mill “mirrors the story of environmental care.” She was at the mill in the 1970’s when it was upgraded for the Clean Water Act. Once the new requirements were set up, the mill made changes to become more energy efficient and established safer waste disposal. What did Blue Heron do? Originally wood was ground into pulp to make newsprint. Later the wood chips were cooked in a sulfite solution to make a stronger paper sheet. Starting in the 1970’s, the paper mill took the paper tri-county residents put out curbside and turned it into high-brightness newsprint, standard paper bags and fast food restaurant napkins. The mill was one of the first in the nation to transition from newsprint to high-quality recycled magazine paper. The company travelled to Germany and Japan to incorporate a cutting-edge flotation process that resulted in a higher-grade paper. After the 2008 economic downturn and the simultaneous increase in digital communication, making a profit became harder and the mill filed for bankruptcy in 2011. 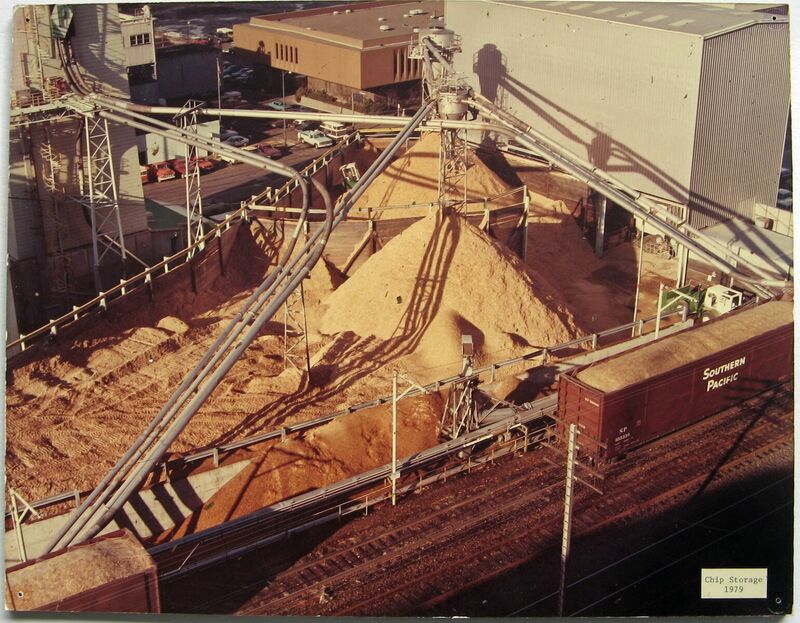 Here you can see a pile of wood chips in 1979 on their way to being cooked and ground into pulp at the paper mill.